Disney's Tangled: Before Ever After DVD - Frugal Mom Eh! Rapunzel, the Effervescent Barefoot Princess with Magical Blonde Hair, is Back in An All-New Disney Channel Original Movie! 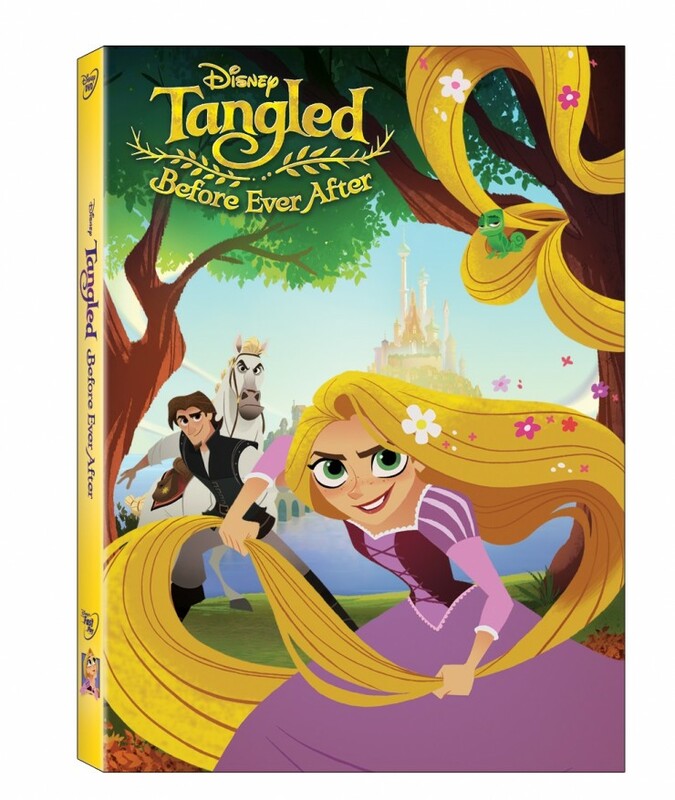 Walt Disney Animation Studios’ TANGLED, continues on DVD with the new adventure Tangled: Before Ever After! Rapunzel (Mandy Moore) yearns to make up for lost time. With the help of her true love Eugene (Zachary Levi), pals Pascal and Maximus and daring new friend Cassandra, Rapunzel postpones her wedding and royal duties to defy danger and boldly explore life beyond Corona’s walls. Sparkling with fun, adventure and music from the legendary Alan Menken, TANGLED BEFORE EVER AFTER is a magical movie event!! Bring this charming new adventure home on Disney DVD now! My girls were super excited when I brought out Disney’s Tangled Before Ever After on DVD for them to watch over the weekend. They loved Tangled and couldn’t wait for more of the story. At first they were a little dismayed that Rapunzel and Flynn (Eugene) didn’t “look the same,” but they were soon so into the movie that the animation style stopped mattering to them. In fact, it was the only DVD they were interested in watching all weekend and have already asked if they can watch it after dinner tonight again. As far as sequels go, this one is very good, even in spite of the drastic animation style change from the first. There are new catchy songs too, ones you will find yourself humming long after the movie is done.